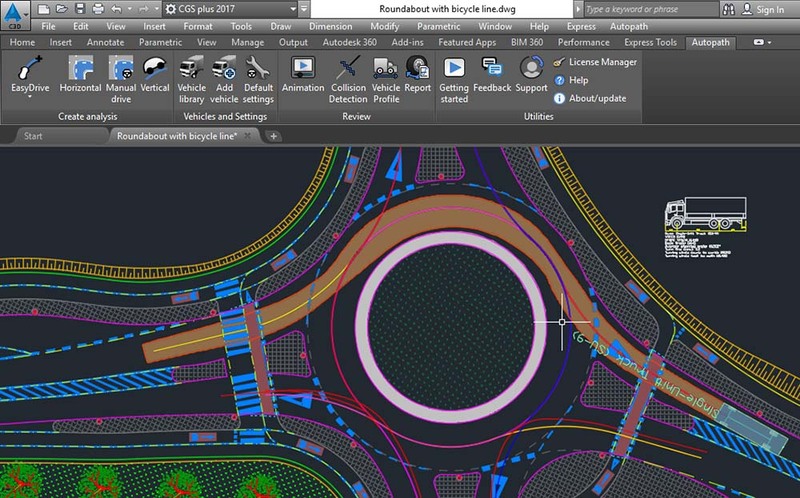 Autopath is an easy to use add-on for vehicle swept path analysis on BricsCAD and AutoCAD for civil engineers, transportation professionals, architects and urban planners. Autopath is most commonly used to analyze vehicle maneuvers on roads, intersections, roundabouts, parking lots, construction sites, airports, loading bays and more. Autopath is not limited to the provided libraries of vehicles, as you can use the software to define specialized vehicles, like cranes, telescopic trailers and more. Autopath 2017 runs on top of BricsCAD Pro and Platinum V13~V17, as well as 2013~2017 versions of AutoCAD Civil 3D, AutoCAD or AutoCAD Map 3D, 64-bit versions only. CGS Labs is a leading developer of software solutions and tools in the fields of transportation, infrastructure and AEC. Besides providing a family of high-end civil engineering applications CGS Labs also offers Civil 3D and Revit software tools for civil engineers and architects, as well as customized CAD and BIM solutions for other companies and software vendors. With offices in Europe and the United States, more than 8,000 customers in 33 countries are currently using CGS Labs software solutions worldwide. 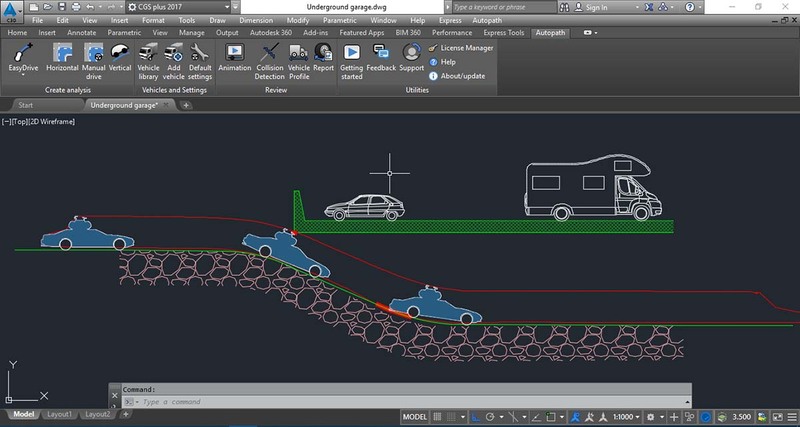 Autopath features several interactive methods of swept paths analysis based on vehicle speed, road superelevation, lateral friction, and turn radius algorithms while supporting analysis simulations for multiple vehicles on the same path. Autopath adaptive horizontal and vertical vehicle swept path analysis can be linked to the road centerline, road edge, road curb or any other user defined line, polyline, or alignment. Desired offsets can be set for the front, or for the back vehicle axle. The swept path analysis will dynamically update whenever the vehicle path is changed. EasyDrive analysis method features interactive forward and reverse vehicle turn prediction with optional “full lock on stop” capability for difficult maneuvers. You also have the flexibility to work with previously created analyses, either through editing the existing analysis, or by continuing on and adding to it. Horizontal and vertical swept path simulations enable users to check vehicle side and vertical (overhead and underside) clearances. Vehicle steering parameters, radius value and slope values for vertical simulations are presented at all stages of the simulation and provide all the data needed for vehicle & analysis inspection. In order to achieve maximum visual representation, especially at the critical sections, the speed of the simulation can also be controlled. Dynamic steering wheel parameters diagram. Vehicle collision detection for side objects, overhead and underside objects. A Swept path width labeling option for the inspection of maximum width values at any point along the curve. With the custom vehicle design option, users can extend existing vehicle libraries, or create completely new county specific libraries of vehicles that are otherwise not included in the software. Vehicle definition import/export tools are also included allowing new vehicles to be conveniently shared with the team. 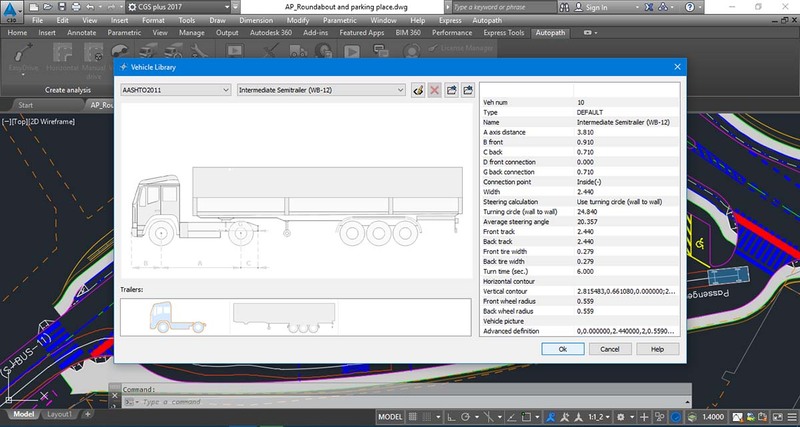 Autopath enables definition of a comprehensive set of vehicle parameters including: vehicle geometry, number of axles, vehicle track width, number of wheels per axle, wheel spacing, tire radius, tire width, steering options for each axle and others. 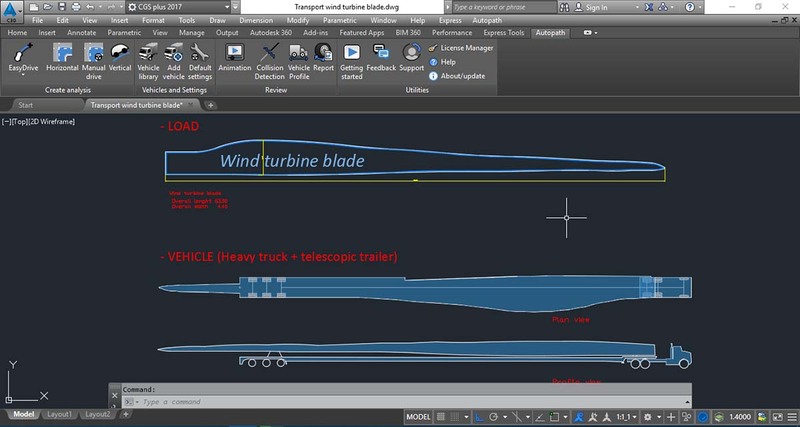 Combined with various steering definition options like steering calculation, turning cycle parameter and turn time value definitions it gives user the ability to generate geometrically correct and realistic swept path analysis. Further options for horizontal and vertical vehicle contour design give users extended capabilities to define vehicles with high levels of details. 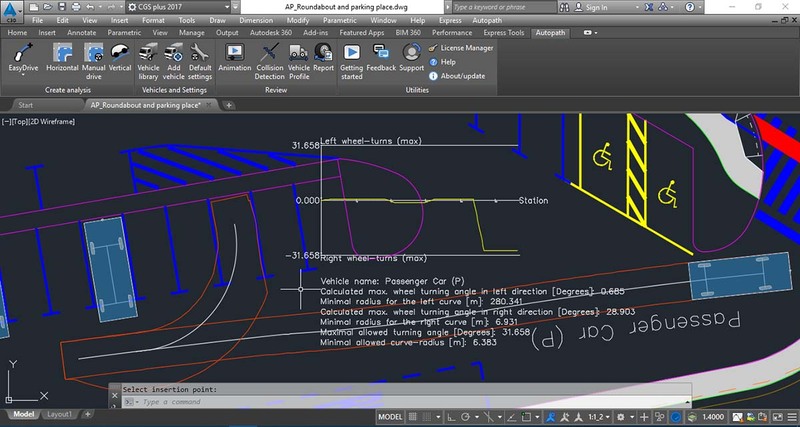 Vehicle contour option supports adding load shapes to a vehicle for even greater swept path analysis capability. And horizontal and vertical simulations will include collision detection for any added loads. This extensive customization options enable users to define highly complex specialized vehicles like: forklifts, cranes, telescopic trailers, log trailers, farm vehicles, multi trailer vehicles, articulated buses and other vehicles with multi axles and multiple steering wheel definitions. 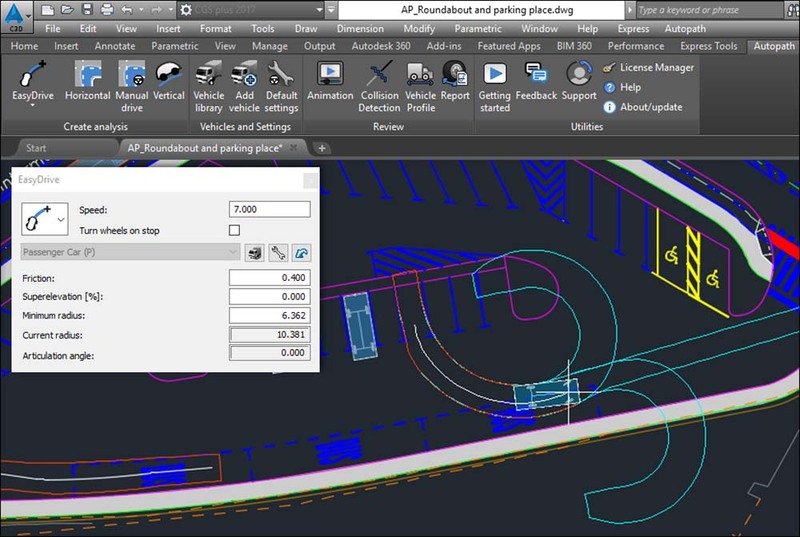 Autopath PRO features functionality for importing raster and elevation data into a DWG drawing at a click of a mouse. Select location, adjust zoom to the desired area to be imported, check whether you want to import Raster, Elevation data or both and select the appropriate country specific coordinate system*. Data is seamlessly inserted into your drawing. (*) Users have the option to request additional country specific coordinate systems if they are not yet included in the list. In order to deliver a reliable solution that meets demanding industry requirements, our engineers closely cooperate with academic scientists, renowned vehicle manufacturers and specialists from various companies that perform swept path analysis on challenging projects. 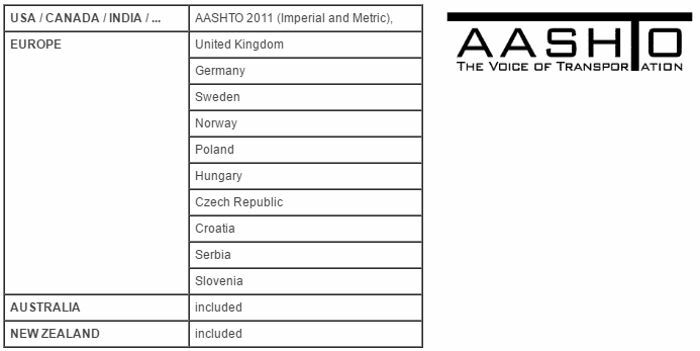 Autopath uses internationally recognized mathematical algorithms and models. CGS Labs engineers perform also field tests and measurements on actual vehicles to double check software results. 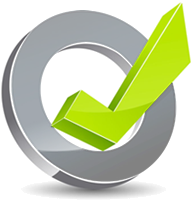 Software is subjected to extensive methodical testing before each release.